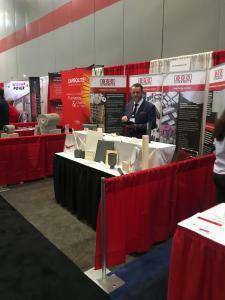 Following the opening of the American office earlier in 2016, IPS Ceramics recently exhibited at this year’s Furnaces North America (FNA) exhibition in Nashville, held over the 4th and 5th of October. Having previously exhibited all over the world, we decided to try out FNA for the first time and it was a tremendous success. This was the twelfth in the FNA series and we had seen its impact from previous exhibitions and how it had attracted exhibitors from 15 different countries. Given our spread of products for this sector, we knew we had to have a booth this time round. Feedback from the exhibition has been very promising, with our Sales Director Phil Green saying the exhibition was “excellent and well attended, especially on the opening day”. Following this well received participation and great feedback, it is very likely we will return for FNA 2018, scheduled to be held in Indianapolis, with high hopes of having the same level of success and interest in our company and products. FNA 2016 seemed to be a bigger success than first anticipated. When asked what stood out most about the exhibition, Phil went on to say, “the visitors were different to the usual customers we sell our products to – this made the exhibition stand out more as it attracted increased custom from new areas compared with previous exhibitions we have attended”. General feedback from customers regarding our stand was encouraging as many customers were surprised at the range of different products and materials we can offer. This added to the experience of attending FNA as it made people more aware of IPS Ceramics and showed them how and what we can do. 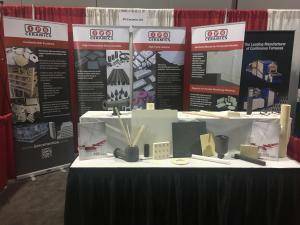 As we wait for the next FNA exhibition in 2018, we will be looking into attending and exhibiting at the Heat Treatment Expo in October 2017; we will be updating everyone on this in the near future.